Heating Shoulder Warmer -Keep your shoulder warm, and also working on your neck. 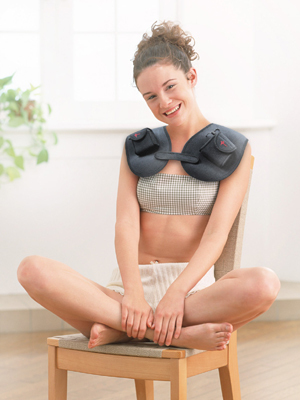 Perfect for the relief of lower neck and shoulder pain. - Provides soothing warmth and a secure fit which supports the body. 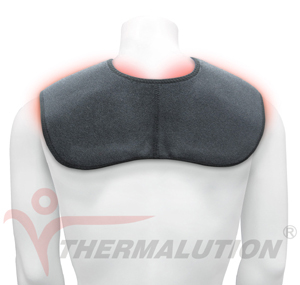 - Neoprene blend provides heat retention which improves circulation and helps promote healing. 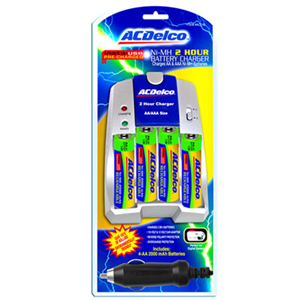 - The heating function simply utilizes dry cell batteries. Durable, flexible and even machine wash safe. - The major heating function provided by pioneer non-metallic  ThermalTek®fiber wire. - Home Battery Charger + Car Cigerette Lighter Adapter Battery Charger ( Optional ). - Rechargeable battery NiMH AA ( Optional ). - Limited Time Very Special Offer : ALL Included in the Bonus Pack !!! - Size : Universal Size only. 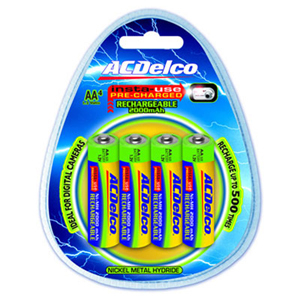 Ordinary or rechargeable batteries can be used. Petatech is a brand that aims to provide warmth to those who needs it most. In order to fulfill this requirement, we have created our Health Care Series that will soothe the pain in any part of your body. 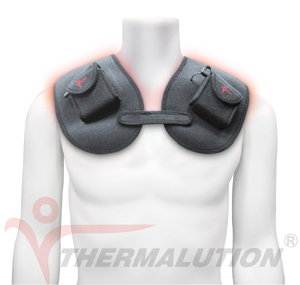 We have combined the common knowledge of applying heat to sore and or injured body parts with our unique blend of health care belts and guards that will relief your pain and aid your injury. Made of genuine neoprene, our products emit safe Far Infrared Ray that will penetrate your skin and gently elevate your body heat, improve blood circulation, promote tissue and cell regeneration and bring you comfort that cannot be matched. It has Far Infrared function. Repetitive Strain Injury (RSI) is a common condition for people working in an environment that places stress on certain parts of the body. Anyone that works with computers is in the high RSI risk group, due to the demand placed on the wrist by typing.
. Pain in the stressed body parts.
. Tingling, numbness or loss of sensation in the hand or arm.
. Muscle spasms or muscle weakness.
. Impairment in ones ability to carry out normal domestic work.
. Any of these symptoms inhibiting you from quality sleep at night. There is no real treatment method to cure RSI, but only methods to prevent it from getting worse. Such methodology includes ergonomics (modification of posture and usage of stressed body parts), and adaptive technology such as special keyboards or voice recognition software. Only FIR can improve the situation for a patient suffering from RSI. Far Infrared Ray can help the circulation of blood and reduce the risk of attaining RSI while assisting in the recovery of RSI symptoms. Far iInfrared ray (FIR) is a spectrum of natural sunlight with a wavelength of 4  1000 microns. It is invisible to the human eyes. The National Aeronautics and Space Administration (NASA) pointed out that FIR with wavelength between 6  14 microns is capable of penetrating deep into the human body where they gingerly elevate the body temperature and generate resonance. It can accelerate metabolism, improve circulation and provide warmth. Testing of Petatech® International Co., Ltd. products, performed by Chung-Shan Institute of Science and Technology, demonstrates that all of Petatechs products generate the desired FIR with wavelength of between 6-14 microns.
" Far Infrared Ray and The Greenhouse Effect "
Recently, scientists have come to the conclusion that there is a great similarity between the need of both humans and plants to utilize sunlight. Plants depend on sunlight for food production also known as photosynthesis but recent studies have shown that the level of dependence that plants have on sunlight is greatly similar in terms of concept to human needs. How is this so? The Earth absorbs radiation from the sun. It then returns a lot of the energy in the form of infrared back to the atmosphere. This whole process generates beneficial warming called the greenhouse effect. This is important because if not for the greenhouse effect, humans would not have been able to survive, not only that, all living creatures would not have been able to survive. The greenhouse effect provides a warm atmosphere for the Earth. If not for it, the ecosystem would have tipped off the balance and all living creatures including crops would be destroyed. For centuries, sunlight has been used for healing. The human body as well as the sun, continuously emits Far Infrared Rays. Ancient Civilization has long been using this heat amongst people. Chinese healers and Yogis in India use what is so called palm healing. Using the heat from the bodies, infrared rays are passed from one person to another. Placed in a more recognizable modern term, this ancient practice of palm healing would be commonly called Energy Healing. Other names would be Reiki, Chi Healing or Oi Oong. The foundation upon which Bio-Mat technology is built on can be traced to Amethyst Quartz Crystals which emit Far Infrared rays naturally. There are more than a couple of ways that thermal energy has been used in ancient civilization. Palm healing is just one of them. One should not make the mistake of assuming that only in places like China and India are Far Infrared Rays used in healing. Far Infrared Rays is considered as old as nature itself. Which is why it is no longer surprising that ancient civilizations already use it. The term may sound modern but even before the studies formally laid this out in the open, humans and other living creatures have been getting a daily dose of infrared from sunlight. One of the benefits of infrared heat is connected to the muscles of the body. Not only does it have a beneficial effect to the muscles, it also helps boost immunity of blood vessels, nerves and lymph glands. An estimated 80 percent of the population will suffer back pain at some time in their lives, making it the second leading cause for doctor visits. Neck pain, second only to back pain, has become increasingly prevalent over the last two decades and is now the number one cause for disability among working Americans. And x-ray studies suggest that most of us will have some type of arthritis in our joints by age 65. But we've found in our practice people can often eliminate back pain, neck pain, joint pain and more. And they can return to normal function - without resorting to dangerous or invasive methods such as surgery, prescription drugs, cortisone injections, etc. Unfortunately, they're not likely to hear this from their doctor. Is it painful to move that shoulder? Are simple tasks like lifting your arm to reach out for something a tedious experience? Do you occasionally feel lightning bolt-like pain inside your shoulder joints? You are not alone with this problem. In fact, millions are suffering with you. Do you feel your confidence plummeting and your self-esteem going down the drain because you aren't able to do simple day to day activities? Is your chronic shoulder or upper body pain making you feel like less of a person? Your condition is difficult and can make you wallow in self pity, helplessness and doubt. So that's why I'm sounding the call again - there are better ways to heal your pain! And FIR energy offers an important non-invasive alternative I really urge you to look at. Far Infrared Ray Heat Therapy is the latest technology available in the market today! We are offering you this safe and effective solution for the pain you are experiencing. Imagine the great feeling of relief and saying bye-bye to that aching shoulder. Still not convinced? Think otherwise. It's possible to go back to the activities you really love doing. Being active again is within your reach with the help of safe Far Infrared Ray heat therapy. FIR waves penetrate your skin and muscles all the way to the bone with nothing more invasive than soothing heat where it safely and gently warms deep tissues and increases the blood supply to the affected area. This in turn reduces inflammation, relieves pain and accelerates the removal of toxic waste products from the muscle fibers. In other words, deep penetrating infrared heat delivers more oxygen-rich blood to painful or injured areas speeding up your body's own natural healing process. 15-30 minutes a day is all it usually takes to feel the results. And it works. FIR energy has been effectively used in the relief of pain from arthritis, back strains, bursitis, carpal tunnel, tendonitis, hemorrhoids, migraines, joint and muscle injuries, sciatica, frozen shoulder, lumbago, abdominal pain and diarrhea, rheumatism and more. Feeling pain all the time is already bad, but you may not be aware that it's not just chronic pain you are dealing with. The emotional effect of being dependent and idle also takes its toll on you. It's no joke because it's just like adding insult to the injury. No one wants to be a liability to others. No one wants to feel helpless, period. Are you feeling down because you can't do what you used to with your arms? A lot of folks will accept this as a fact of life or signs of aging. If you ask us, we disagree wholeheartedly. Why? Its because we have seen our Far Infrared Ray heat therapy products help a lot of suffering people like you get back on their feet. Until you have tried our tested and proven FIR Heat Therapy Products, you can never appreciate the effort of the studies and the effectiveness that it brings in to soothing that chronic pain you very much want to rid away! red color indicates dramatically improved blood circulation. Remember when you were a kid hanging out at the local swimming hole? You'd splash around until you felt half frozen and your lips turned blue. Then you'd run up onto the beach and sprawl out on your towel to dry in the sun. As you lay there all goose-pimply and shivering, it seemed like the sun was shining right through you... warming you clear down to your bones... it felt so good! And in just a couple of minutes you were so snuggly warm you wanted to fall asleep... at which point you jumped up and ran back into the water to freeze your tush off again! Well, the heat that was warming you so deep down was the sun's Infrared Rays. These waves of energy, totally invisible to the naked eye, are capable of penetrating deep into the human body (literally right down to your bones) where they gently elevate the body's surface temperature and activate major bodily functions. Now don't worry, Far Infrared Radiation (FIR) has nothing to do with either ultraviolet radiation (which gives you a sunburn and damages your skin), or atomic radiation (the kind from a nuclear bomb). Far-infrared waves are a safe form of light energy that heat objects by direct light conversion - a process that directly warms the object, not the surrounding air. Actually FIR heat is so safe that neonatal care units now use infrared heating systems to keep infants warm. For the last 40 years western researchers and clinicians have done extensive studies on the healing power of FIR energy and have made some startling discoveries. For example, a study of patients with chronic fatigue syndrome found considerable relief of symptoms with daily Infrared treatment. Although the patients had been taking prednisone, a powerful medication used to temporarily dampen inflammation, this potent drug had shown no beneficial effects prior to administration of the heat therapy. After 15 to 25 sessions in a FIR sauna, the patients showed significant improvement in fatigue, pain, sleep disruption and low-grade fever. The patients were able to discontinue prednisone medication and showed no relapse of symptoms after a year, during which time they continued the infrared therapy once or twice weekly.